As technology professionals, we are all too aware that technology is designed to be addictive and may be detrimental to people’s lives. We take a two-pronged approach to nomophobia - the fear of being without your cell phone. We create tech-free wearables designed to help people engage with each other at orientation events, conferences, and classrooms. 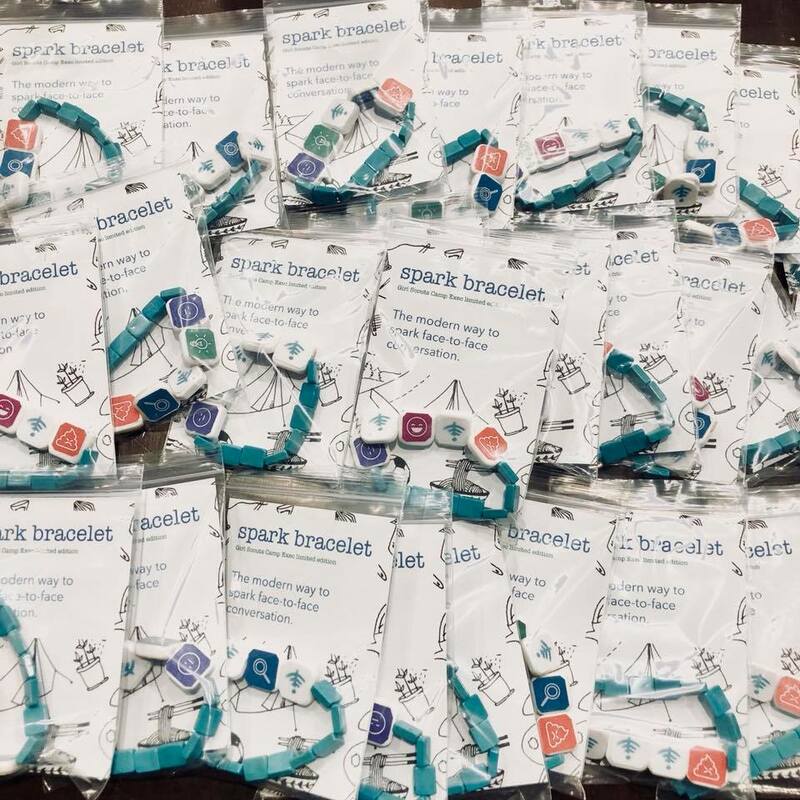 Read more about the Spark bracelet we created for the Girls Scouts of San Diego! We offer interactive workshops to students, employers, and organizations to help them gain awareness of their phone habits and provide strategies on how to reach their productivity goals. Read up on past events. To live offline isn't to be permanently off-grid or even to police your usage. It is a vow to be aware of our phone usage and ensure our lives are not dictated by our phones. It is to LIVE. To walk outside without a device in our pocket or hands. To ask a friend how their weekend was and learn the good and bad, not just reflect on what was posted on social media. To spend time truly enjoying a meal with your loved ones without a beep or buzz interrupting. Learn more about Our Impact.